Perfect for any berry & fruit tea drinker, this yummy Soil Association Certified Organic tea collection contains 15 Sachets of each of the following teas: Infusions Spiced Red Fruits - Rooibos, red fruits, cinnamon, hibiscus and peppermint. Infusions Lemongrass Ginger & Citrus - Lemongrass and citrus infused with a touch of ginger. Infusions White Tea, Blueberry & Elderflower - White Tea with Blueberries, Lemongrass and Elderflower. Infusions Super Berries - Sweet strawberries, blueberries and raspberries. 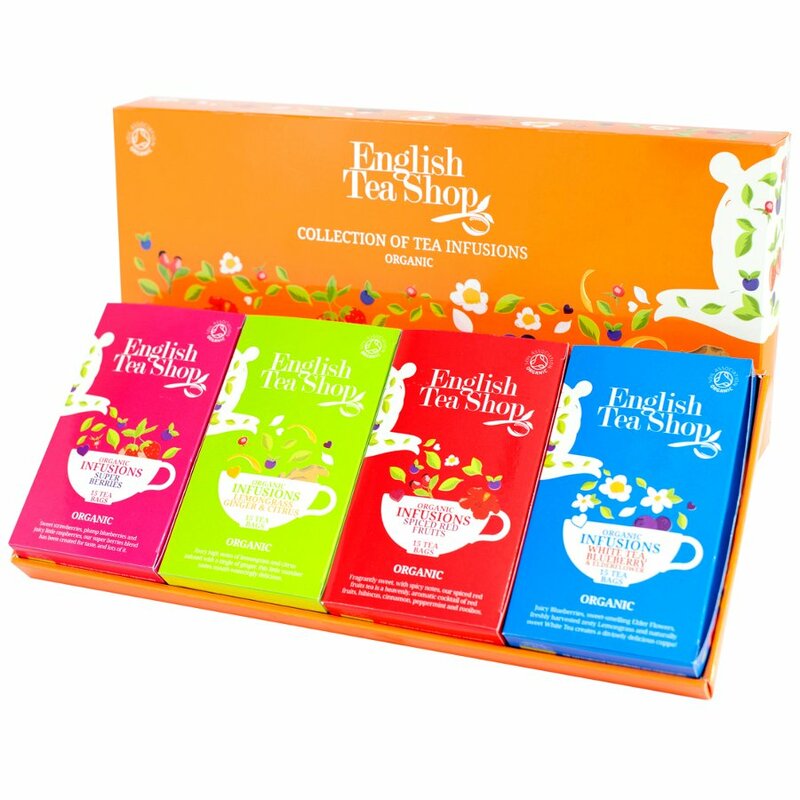 The English Tea Shop Organic Infusions Tea Collection - 60 Bags - Sachets product ethics are indicated below. To learn more about these product ethics and to see related products, follow the links below. 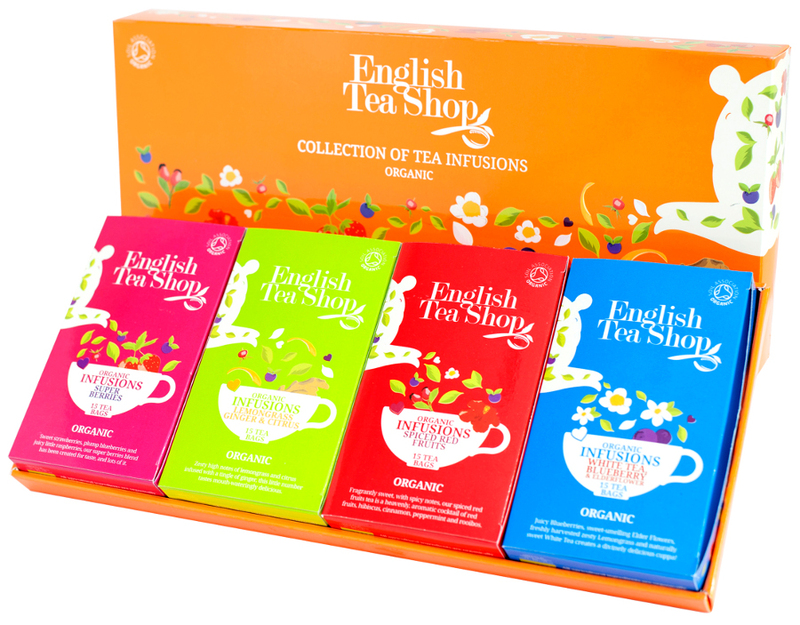 There are currently no questions to display about English Tea Shop Organic Infusions Tea Collection - 60 Bags - Sachets.